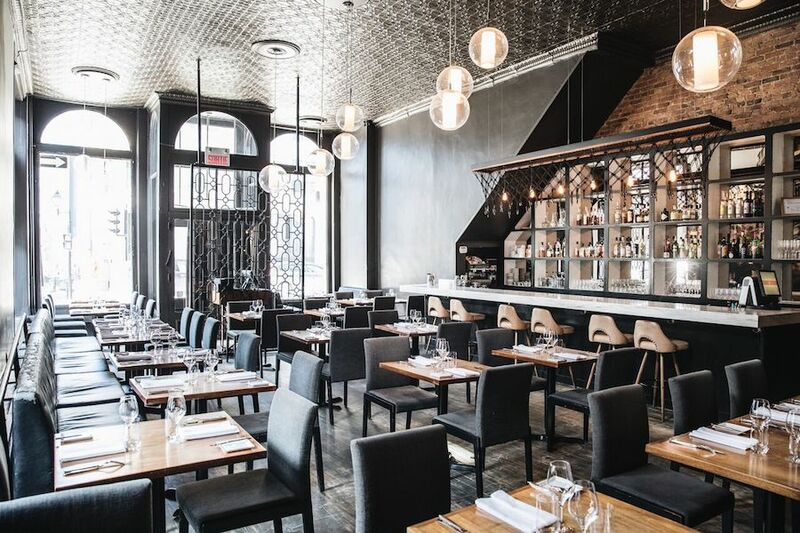 What You Need To Know About Les 400 Coups’ New Menu! For nightlife lovers like myself, hitting the town for a night of great food, awesome drinks and who knows what else can become a costly affair. I rarely get away with a night costing me less than $100 so whenever I get the chance to spend a little less, I’ll take it. 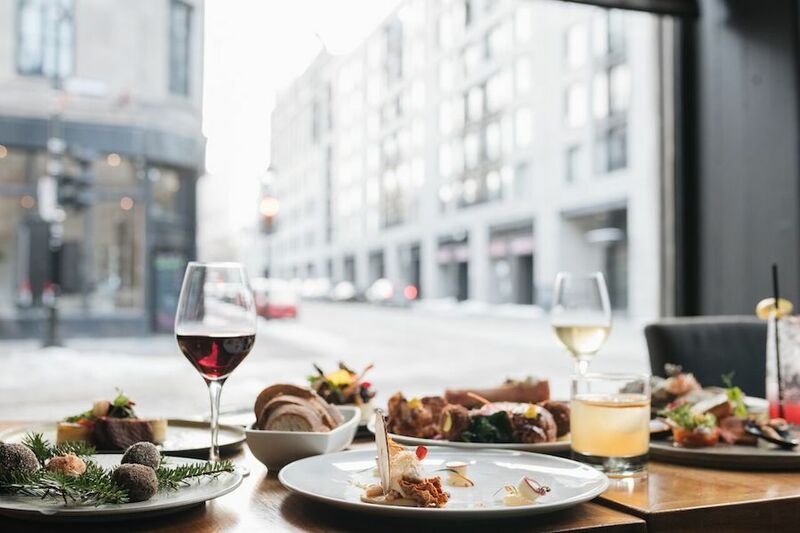 During the quieter months of winter, many of Montreal’s restaurants create delectable menus at reduced prices to get people out of hibernation and into the fabulous dining rooms that Montreal is so famous for. 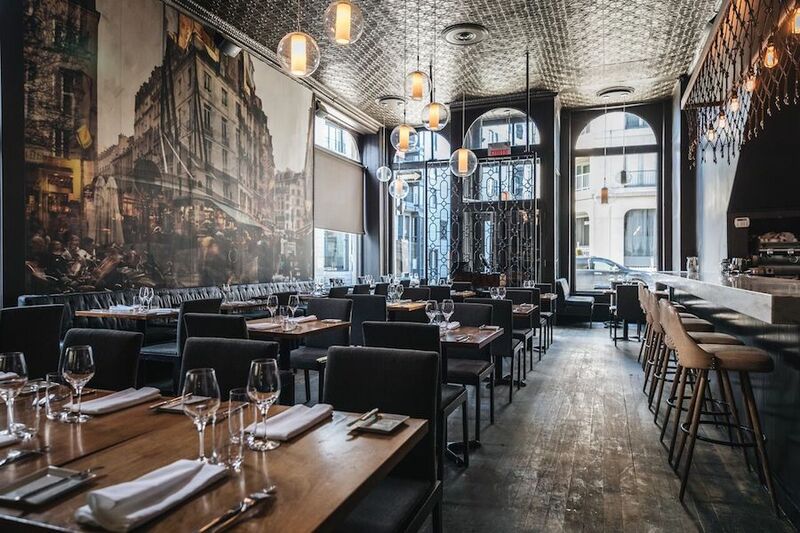 Les 400 Coups has become one of the city’s most reputable establishments and they too have come up with a special three course meal (that can be expanded to a wine pairing) that’s accessible and wallet friendly. I dropped by last week to give it a try and here are my thoughts. This was my first time ever at Les 400 Coups. I don’t know how that happened but I guess I’m better late than never. The restaurant is right up my alley when it comes to atmosphere and while I’ve curiously and enviously watched diners enjoying their time at the restaurant as I’ve walked by, I’ve never had the opportunity to drop in until now. As far as I am concerned, Les 400 Coups is the ideal sized restaurant. The restaurant’s bistro vibe is the stuff my nightlife dreams are made of. Sitting in the dining room for the first time allowed me to absorb a symphony of sounds such as the conversational chatter, the ambient music, the bustling of waiters and the clanking of cutlery against plates and bowls – This is what I love most about restaurants. The décor, with warm lighting, darkly painted and vanished wood and brick, is both inviting and intriguing. I was among a group of media invited to the restaurant to try the special menu so service at our table might not be the norm for a regular guest. I can say that the wait staff are knowledgeable, respectful of their guests – no matter the table – and prepared, whether they are teaming up to serve food or helping each other out with water or drinks. 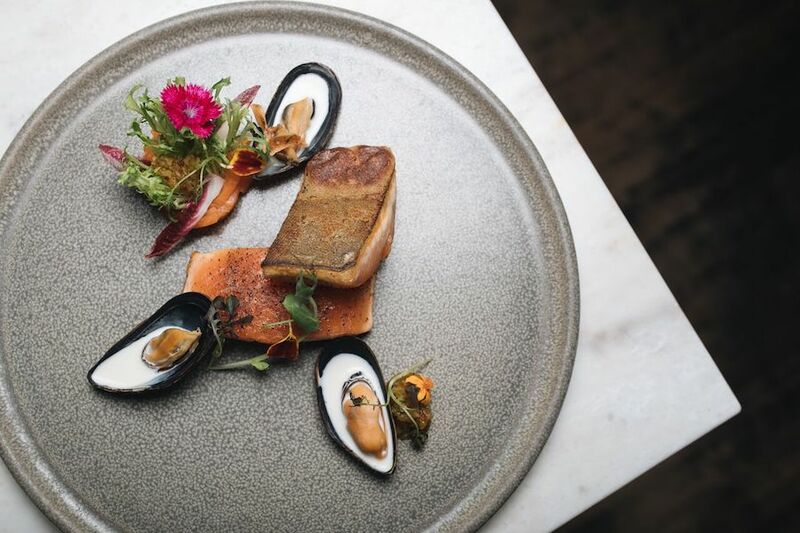 The special three course menu (which is served from Tuesday to Thursday ever week for the time being) features locally sources products that are intently prepared and artfully presented (the plating is out of this world). The menu changes depending on what’s available which I love. Knowing that you won’t necessarily have to look at the same menu twice is enough to keep me coming back again and again. For my meal I chose to start with homemade raviolo which was stuffed with wild mushrooms and smoked ricotta and served in tarragon infused mushroom broth. The broth was a little heavy on the salt but the flavours from the creamy ricotta and the mushrooms remained as pronounced as necessary. I chose the arctic Char as my main course. The fish fell apart at the touch of the fork, it was perfectly cooked and fresh. The dish was served with nori, smoked tomatoes and mussels. The mussels were tender and added a salty flavour to the dish that might have masked the smoked flavour of the tomatoes a little too much. I’ve had more deeply flavourful smoked tomatoes in the past but letting the arctic char shine with hints of other flavours was a smart call made by the chef. I never order fish in a restaurants and I have to say that I have no regrets about ordering this dish from Les 400 Coups. For dessert we were severed chocolat molleux with cocoa crumble and dulce de leche. Chocolate can do no wrong and this was a great way to end the meal. The dessert felt relatively light which fell in line with the rest of the meal; I left satiated but not stuffed. To learn a little bit more about Les 400 Coups, visit their website here.